Due to the bad weather predicted for Sunday morning, church services have been cancelled. We’ll see you next Sunday! 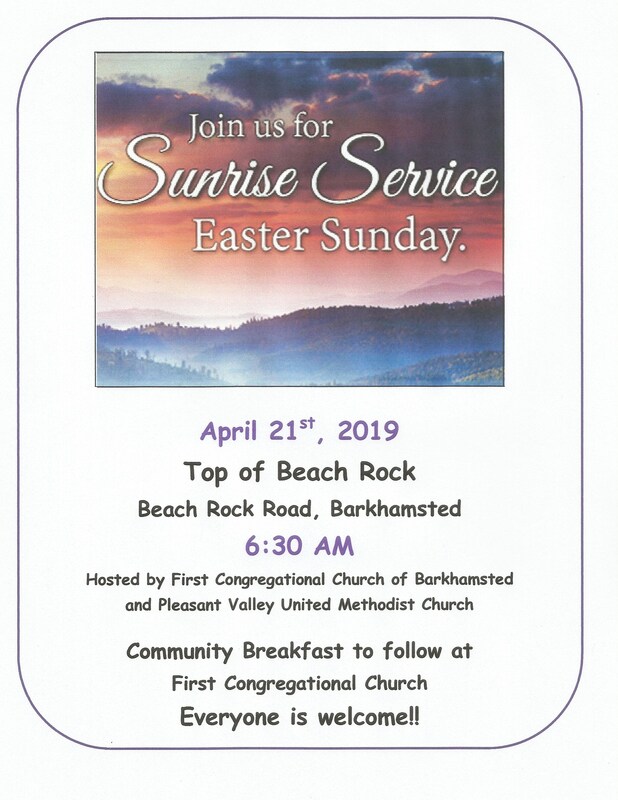 Our Church Newsletter, The Link, is now online. The March edition of our church newsletter, The Link, is now available online. To view the happenings for this month, go to the Link tab at the top of the page and follow the links. All events are open to everyone so we hope you’ll come and join with us as we have fun and fellowship, and share of love of the Lord in his holy temple. 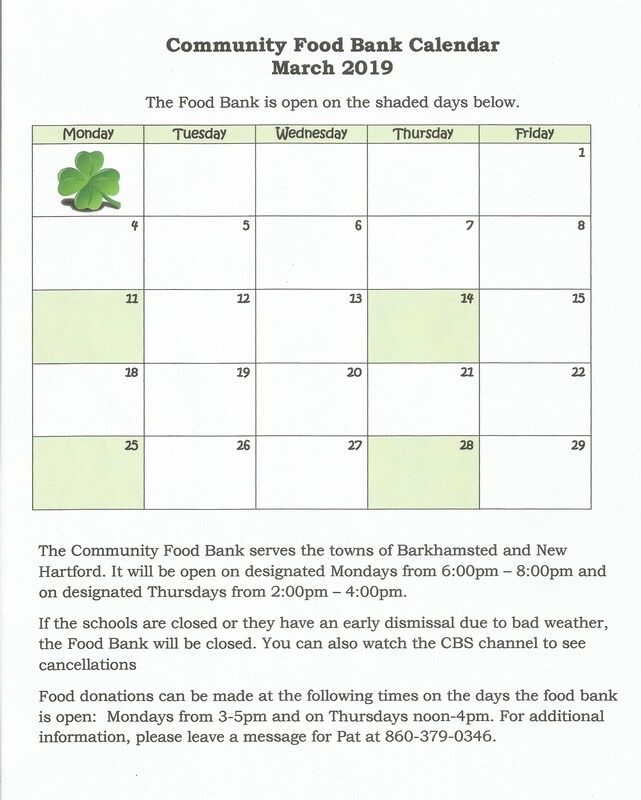 The March 2019 calendar for the Community Food Bank, housed at Pleasant Valley United Methodist Church, is shown below. 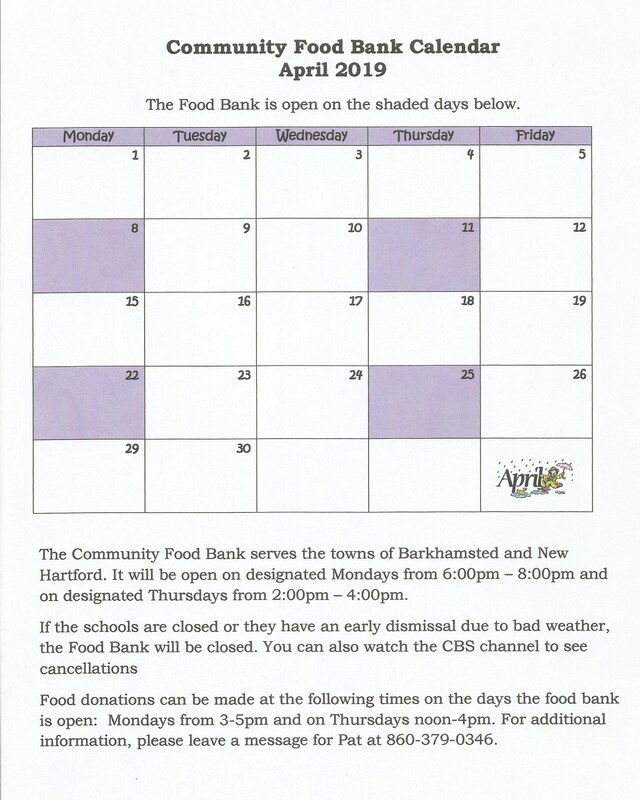 The Community Food Bank services the towns of Barkhamsted and New Hartford. Hours of operation are listed on the calendar.